Greetings again from the darkness. It doesn’t happen often, so it’s probably kind of fun for them when a father and daughter are able to appear in the same film. 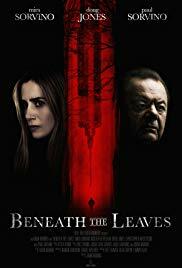 This is writer-director Adam Marino’s first feature film, and he cast Paul Sorvino and Mira Sorvino not as father-daughter, but as Police Captain and Detective. The script, co-written by Marino, Naman Barsoon, Daniel Wallner, and Mark Andrew Wilson treads familiar, yet usually interesting ground … a crime topic covered previously by numerous TV shows and movies. The film opens with an abusive father (Don Swayze) doing despicable things to his young son and daughter, before the two of them take action against him. We then flash forward to a prison escape that occurred after a fire is set. One of the escapees is an especially demented psychopath with a trait that ties the story back into the opening sequence. What follows is a whodunit police procedural that focuses on Detective Erica Shotwell (Oscar winner Ms. Sorvino) and the four boys who survived their encounter with the twisted prison escapee some 15 years ago. Doug Jones plays James Whitley, the prison escapee returning to finish the job on the 4 that got away. Mr. Jones is best known for his fabulous “creature” work in THE SHAPE OF WATER and PAN’S LABRYNTH. The four boys, now grown men, are played by Ser’Darius Blain, Christopher Backus, Christopher Masterson, and Kristopher Polaha, the latter of which is now Detective Shotwell’s partner … though, against his vociferous protests, is prohibited by the Chief from working the case that he is oh-so-close to. Also providing support work are Melora Walters, Jena Sims, and fingernails in general. Director Marino’s film is mostly B-level material, and actually much milder than what we see on many TV shows these days. It does, however, reinforce the notion that screwed up kids quite frequently grow into screwed up adults.